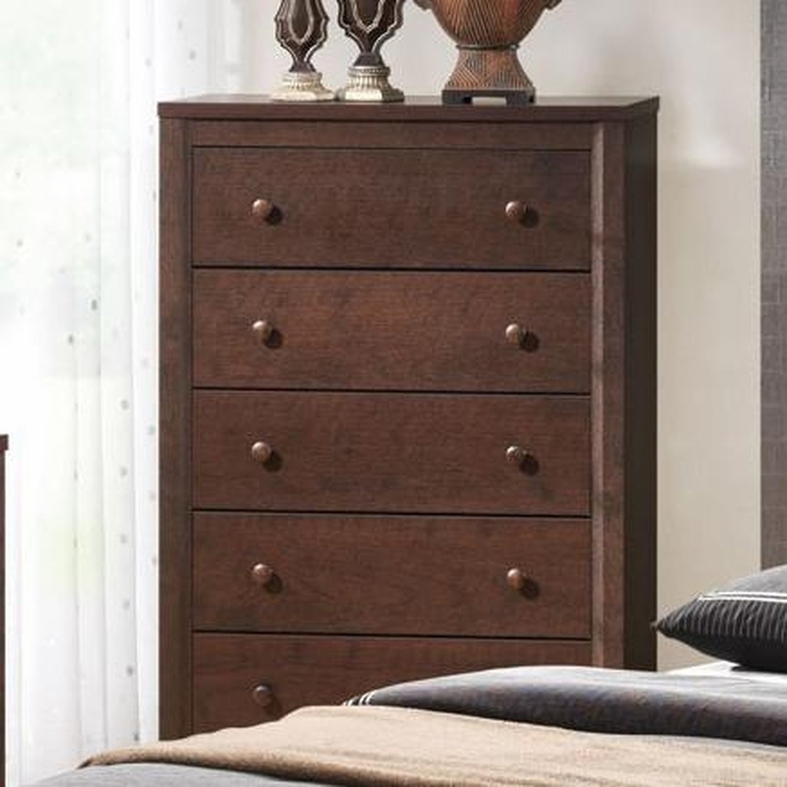 You'll have a handsome addition for your bedroom decor with this chest of drawers. The piece carries a warm cherry finish and features round wood knobs. 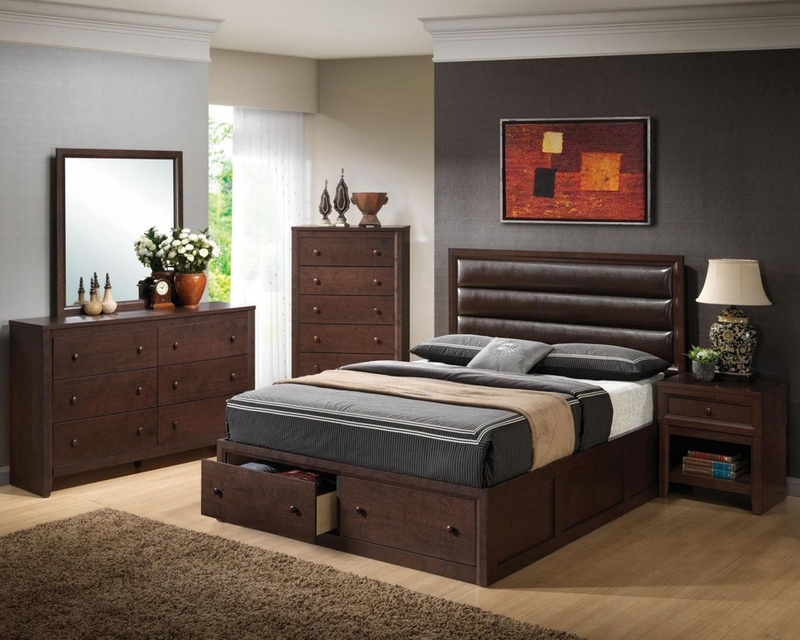 Plus, the five drawers are wonderful for keeping sweaters, jeans, stockings, undergarments, towels and blankets. 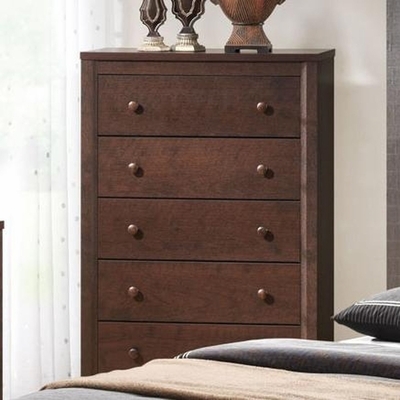 There will be a lot to like with this stunning chest in your home.